Experimenting with make-up is my hobby. I originally wanted to be a make-up artist when I was younger but my love of fashion and writing led me to a Fashion Journalism degree. Halloween is just an excuse for me to play with make-up. 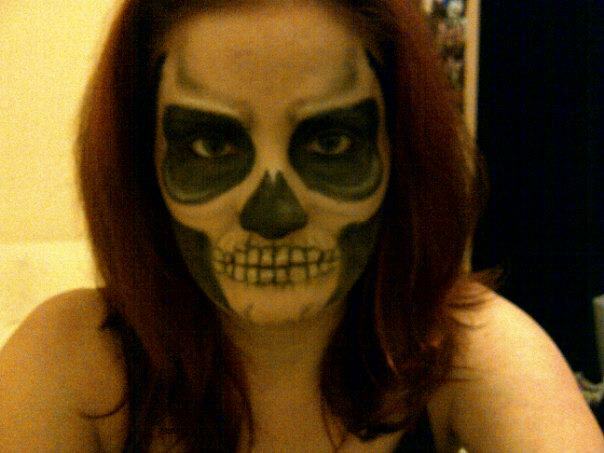 Here is my second skull make-up attempt, see the first here. I like this better than my first attempt, I followed this tutorial by the lovely LetzMakeup. She has amazing make-up skills! Check out her channel for other Halloween ideas; a masquerade mask, ice queen, black widow, psycho doll and loads more. Who makes your favourite Halloween tutorials? Woah, this literally looks so cool!